Please Note: I was NOT compensated by the salon for this information or for recommending them. 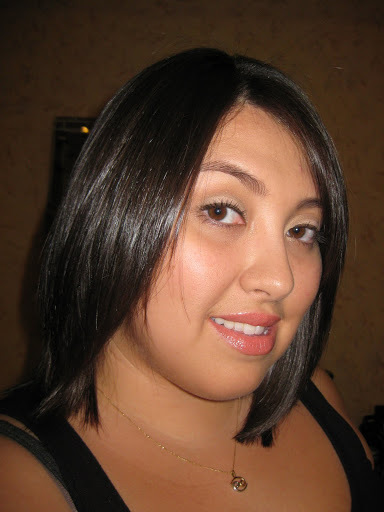 I paid for my treatment as any other customer would, but this is the best salon and stylist I have been to thus far and truly believe that if you are looking for a great salon that isn’t too expensive, then you’ll love them! • Will my hair return to its original state? 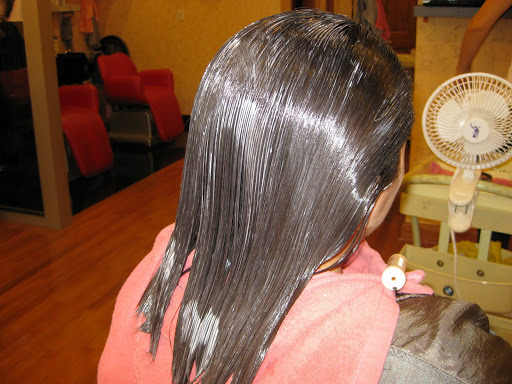 o Thermal Reconditioning: Some sources say that once the hair has been straightened, it will stay that way forever if properly cared for. In my personal experience, hair will eventually revert to its original state within 10-12 months. • How soon can I wash my hair after the procedure? 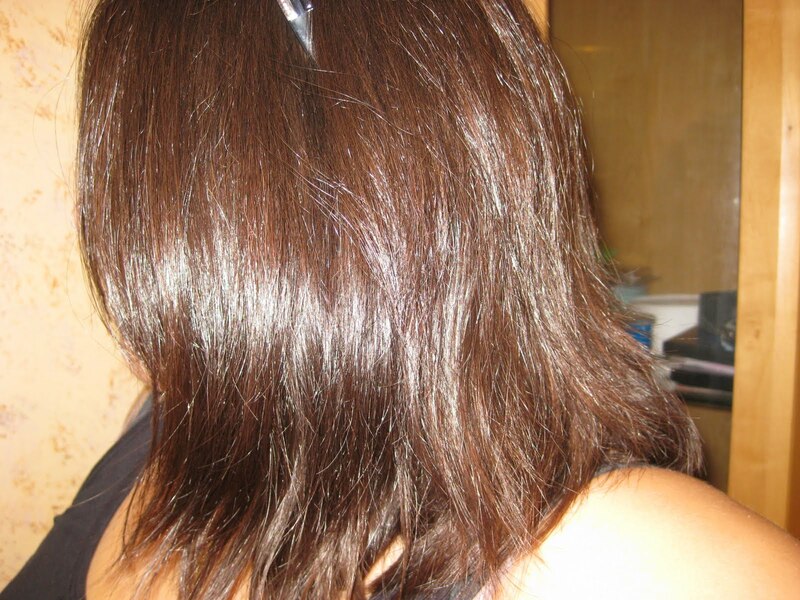 o Brazilian Blowout: Frizz-free, shiny hair. o Thermal Reconditioning: straight, frizz-free, silky feeling and shiny hair. 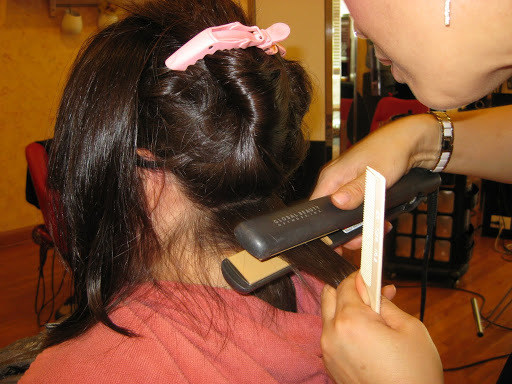 • How is the Brazilian Blowout different from Thermal Reconditioning? 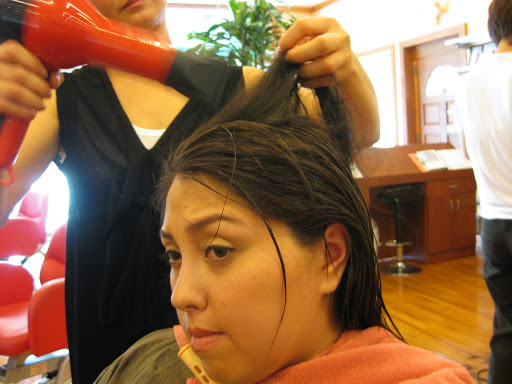 o Thermal Reconditioning physically changes the structure of the hair and uses heat to restructure the follicle. If you liked my results and you live in the Atlanta area, I HIGHLY recommend this salon and stylist! So I know it’s been a while since my last blog post. Things have been busy with the move and getting settled in. This is my first post living in Atlanta, and I still have a lot to take care of. But for the most part I’m all settled in, job hunting like crazy, and spending a lot of time with my mom. 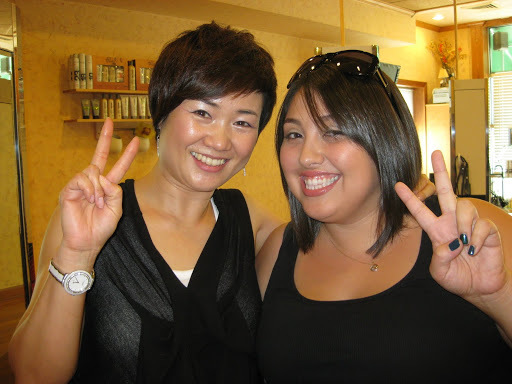 My mom’s friend is a stylist at a salon in a town near Atlanta where they do the Thermal Reconditioning/Japanese Straightening/Magic Perm/Whatever. 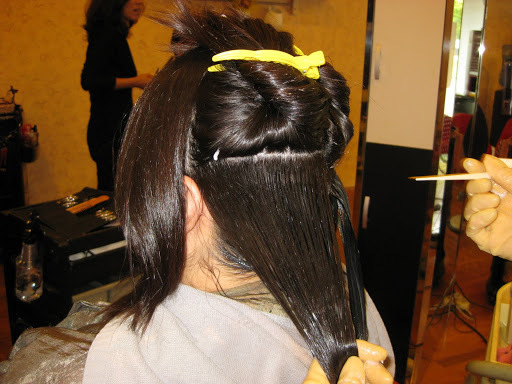 Here is a step by step look at how the procedure goes. Please keep in mind that timing on each step is going to differ dependent on the hair length/thickness/texture, etc. This is what my natural hair looks like. I have been getting the “Magic Perm” done once a year every year since I was 16. 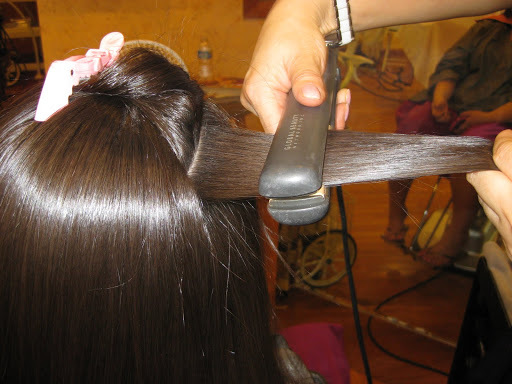 And although some of these companies claim that once you get it done, the “already straightened” hair stays straight forever – this isn’t true. At least in my experience over the last 9 years. Like any other perm, the texture of your natural hair comes back until you do the procedure again. 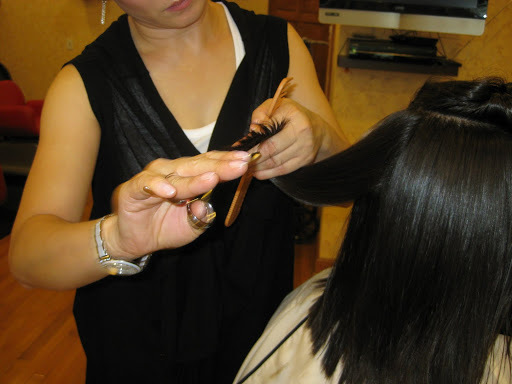 Stylist sections off the hair and applies a protein restructuring chemical from the roots to end. This step took about 30 minutes. 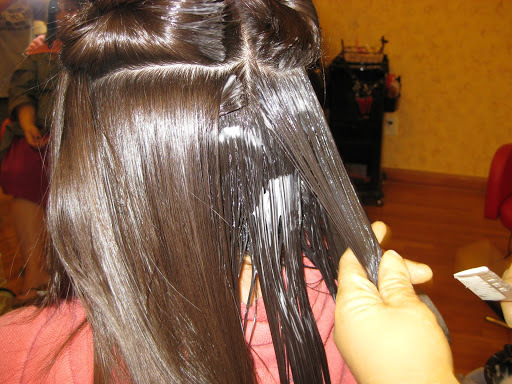 The protein “restructuring” chemical is thoroughly washed out and then the hair is dried. The hair was sectioned off again and flat ironed in 1 inch sections. 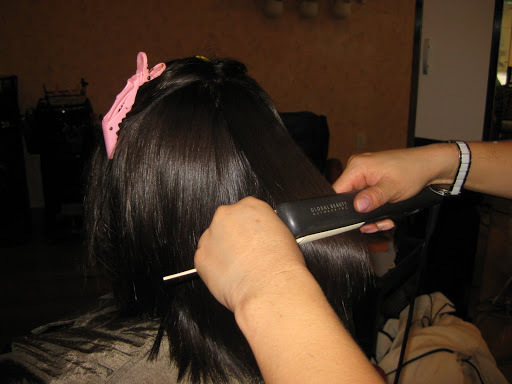 The flat ironing restructures the hair so it’s perfectly straight. This step took about an hour and a half. 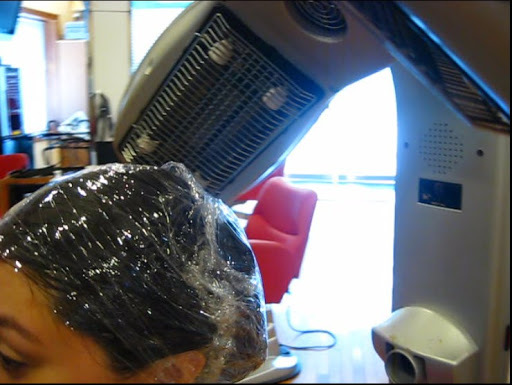 Hair is sectioned off again and the second chemical, the neutralizer, is applied to the hair. After making sure the hair is completely saturated in the neutralizer, I sat under a heated dryer for another 15 minutes. 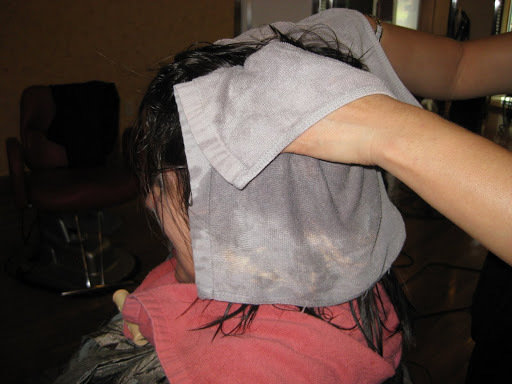 The neutralizer is thoroughly washed out and hair is rinsed with a conditioner. Then hair is dried slightly and trimmed (if needed). 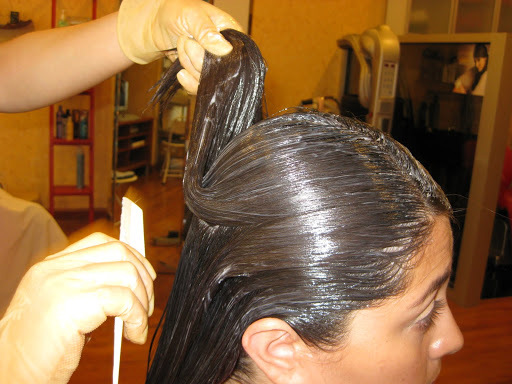 A Thermal Reconditioning/Brazilian Blowout comparison FAQs post will follow this one shortly! Hello to all of my lovely readers! I know that I have been neglecting my poor blog, and I’m sorry! Things are CRAZY busy right now at home. I’m planning on moving to Atlanta on Wednesday (that’s in 3 days!) so I’ve been busy packing up my things and trying to get some important stuff taken care of before I leave! So I had a 50 subscribers contest and I know I was a little late getting this contest started and now I’m announcing the winners later than I said! But better late than never, right? Haha. Now without further adieu (yes…I like that phrase…) here are the winners!! Congratulations ladies!! Please list the 3 liners you would like from 1st place to 3rd place (i.e., 1. Jade, 2. Teal, 3. Lime or whatever order you would like) and send it to me in a YouTube message along with your address! Remember, first come first served!! And to ALL of my subscribers, good luck on the next giveaway!